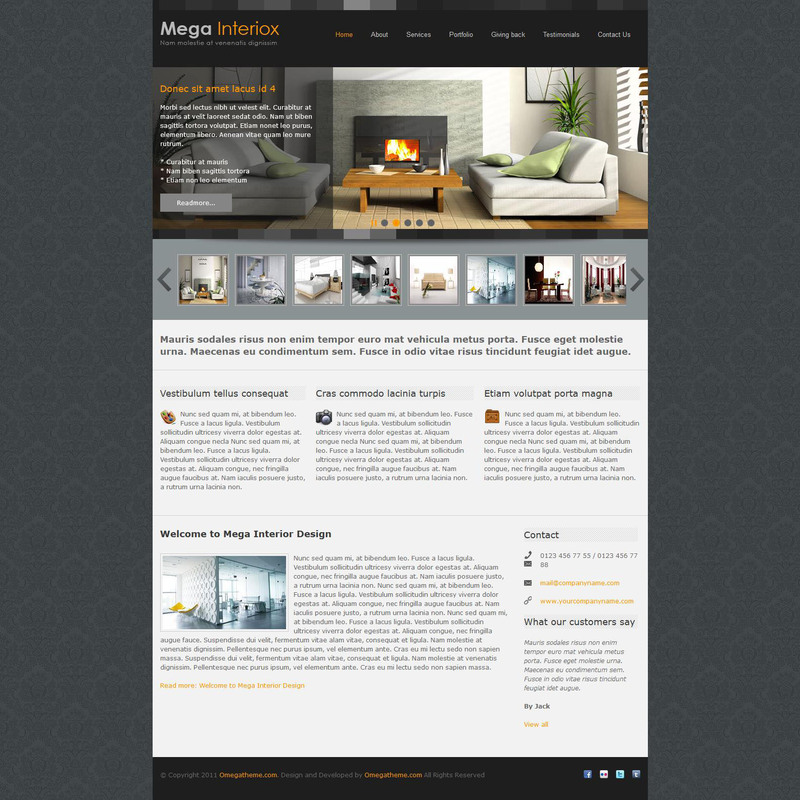 OT Interiox - powerful professional template from the studio OmegaTheme. Pattern focused on the theme of the interior, business, portfolio, the site offers a variety of furniture sofas and chairs as well as to create a business, corporate, portfolio, and other social websites. Adapted to the social networks, includes stylish and functional slider image rotator. Runs on the Solid Framework, contains 12 module positions, optimized code and is fully compatible with all browsers and versions of Joomla 1.5 - 1.7.